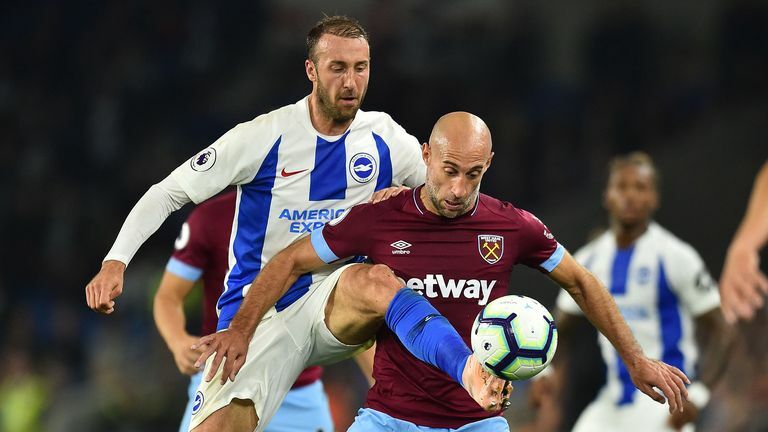 The Hammers were beaten by Glenn Murray's first-half finish, which proved enough to secure only a second win of the season for Brighton, and end a run of four games without defeat for their visitors. West Ham started sluggishly at the Amex Stadium but even with a marked improvement after half-time, they could not force an equaliser. 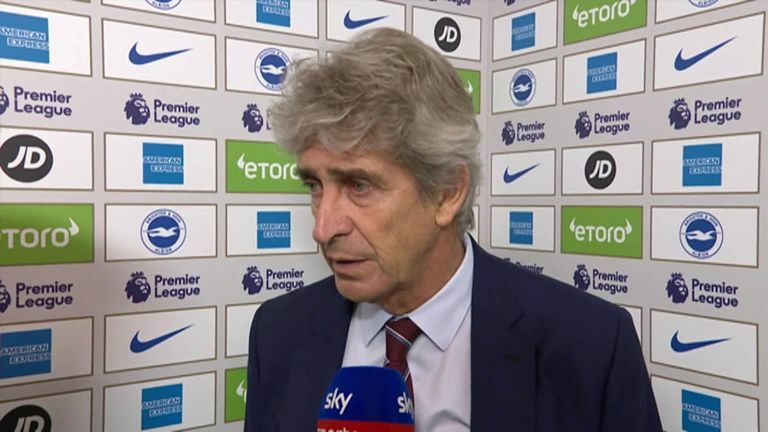 "We didn't play the first half in the way we must do," Pellegrini told Sky Sports. "We were unlucky to lose it though, we created three clear chances in the second half, they had one and scored. "In the second half we dominated, created chances but couldn't score. We had the (Fabian) Balbuena header, another from Marko Arnautovic and another from Lucas Perez." The man-of-the-match award was shared between Brighton defenders Lewis Dunk and Shane Duffy, who helped restrict a talented West Ham forward line to a few half-chances before the break, albeit the visitors should have levelled after half-time. Asked about West Ham's slow start, Pellegrini added: "We had another team in front who played in front of us and played well. They didn't create too much either in the first half but they played with a high pace and recovered more balls, but I think it was not a game we should have lost. "We made a mistake to lose the ball in midfield, and after that we didn't follow the man inside the box."